How to make a Sri Lankan canned fish curry. Give that boring canned fish in your shelf a new taste with this Sri Lankan version of a curry created using tinned fish. A quick-prep, slow-simmer, budget-friendly recipe. With a thick gravy made up of Onions, Tomatoes, spices and Coconut milk this fish curry might breathe new life to those cans of fish in your shelf. 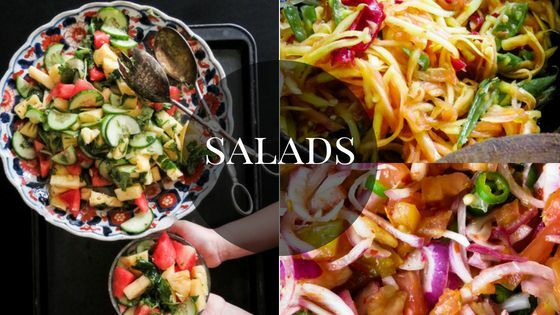 The recipe takes your basic staples and cooks into a rich and tasty dish in which you can dip into with your favourite type of bread or flat breads. 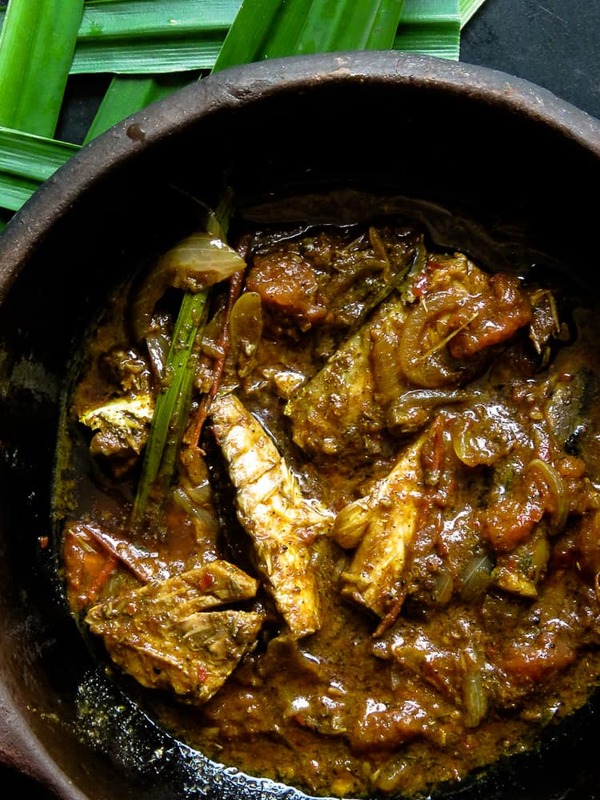 If you have a few canned fish in your pantry and you are just about tired of making them into salads, well then, it’s time for you to try the Sri Lankan version of a hot and spicy curry. Like our favorite Dhal dish, canned fish curry is a budget friendly recipe and needs only 30-40 minutes of your time to make. 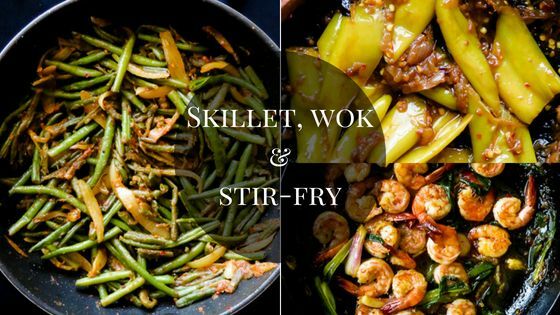 All the ingredients that makes the curry comes together in a pan, making it a minimum-prep skillet meal. One advantage that I love cooking this fish curry is because I don’t have to worry about tiny bones that can be a problem with younger kids. While making the dish, should you feel that it’s too spicy for the kids, look at the recipe notes for a less spicy version of the same. 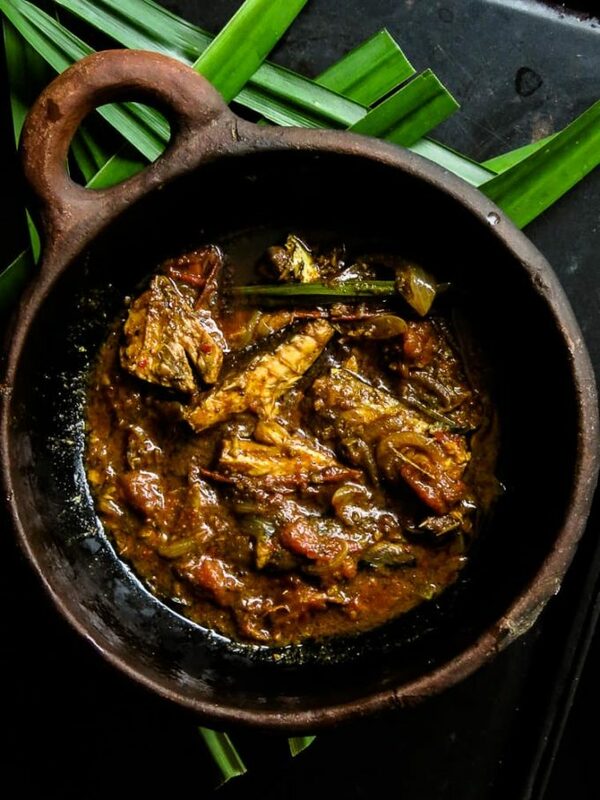 Although a Salmon/ Jack mackerel fish curry is one of those popular Sri Lankan dishes that needs no urging to enjoy. The downside of cooking fish for me at home, especially canned fish is that you’ll always have someone in your family who might not be a fan of canned fish. I have this issue with my eldest son who usually whines and groans, he is a genuine fish hater. Fry it and he’ll give it a go but cooking it just doesn’t work for him. SInce I wasn’t going to make him anything special, he’s perfected his skills in frying eggs. 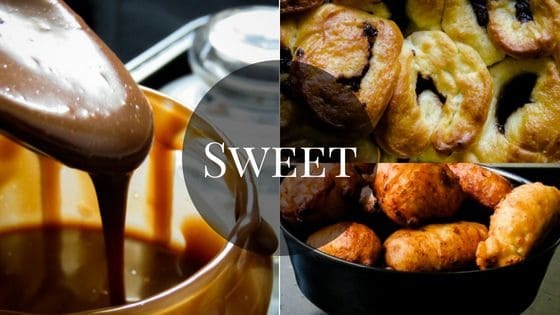 But this recipe is not just for my family, I’m sure there will be a few of you who would like to give this recipe a try. Can I make a tinned fish curry with Tuna cans? Yes, The Tuna especially needs to be the chunky variety that won’t melt while it simmers. Can I make a less spicy canned fish curry for the kids or for myself? You definitely can, instead of adding the amount of Pepper and Chilli mentioned here, add 1/8th of a teaspoon(a pinch)of the same. 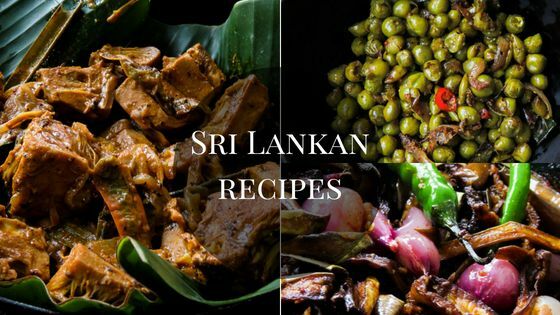 recipes to try-spicy sri lankan canned fish stir-fry. I can create using this tinned fish curry? Breakfast- serve with bread, Dhal curry and the fish, if you are serving with Kiribath, make a good Lunumiris and of course the Salmon curry. 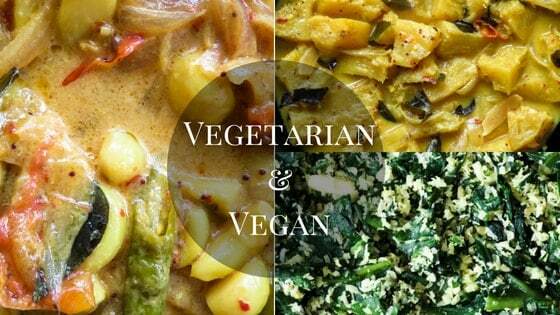 Lunch- So good with a bowl of rice, one or two vegetable dishes you’ll find in the blog and you are set. Dinner- Roti accompanied by a creamy Dhal or potato curry with the fish. 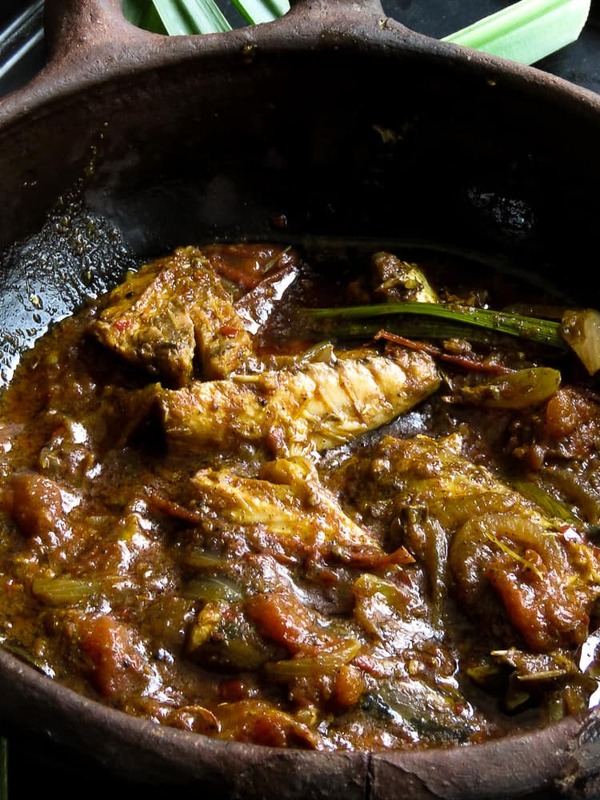 Beginner’s tips on making a jack mackerel curry. 1/As mentioned earlier, you can use tinned Tuna but they need to be in chunks to avoid melting into pieces once they begin cooking. 2/If you want the curry to be less spicy, then reduce the chilli powder considerably, 1/8th teaspoon of chilli and Pepper powder. 3/Since the fish bones of a canned fish are usually soft, I don’t remove any bones as it helps to keep the fish firm. 4/ Fish odour is always a problem, I open the can placing it in the sink, if there is a spill, all I need to do is turn on the tap, draining the fish brine directly into the drain also helps to avoid the sink smelling of fish. Open the can, drain the fish brine and set it aside. Place pan over medium heat and pour in the oil, leave it to heat for a minute. Add the curry leaves, Cinnamon, Pandan leaf, stir and sauté for 1-2 minutes, include the Onions, Garlic and tomatoes, cook the ingredients for a further 2-3 minutes. Add the Turmeric, Chilli, Pepper and Curry powder and sauté, letting the ingredients turn slightly brown and the tomatoes to soften while all the of the ingredients turn to a semi-liquid paste. this will take less than 10 minutes, increase heat if necessary but avoid burning the paste. Reduce heat to low-medium and pour in the Coconut milk, leave it to simmer for another 5-7 minutes. Season with Salt. Once the Coconut milk is thick and slightly changes color, gently add the canned fish chunks into the gravy. Avoid stirring unless it is to place the fish so they cook evenly, cover with a lid, set to slow simmer for 10-15 minutes or until the gravy is thick. 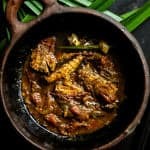 Other fish curry recipes you might like. Spicy Sri Lankan tin fish stir-fry. Thai-inspired tuna fish curry cooked in coconut milk. Sri Lankan red chilli fish curry. GIVE THAT BORING CANNED FISH IN YOUR SHELF A NEW TASTE WITH THIS SRI LANKAN VERSION OF A CURRY CREATED USING TINNED FISH. A QUICK-PREP, SLOW-SIMMER, BUDGET-FRIENDLY RECIPE. When do you add the remaining of the ingredients? Which remaining ingredients are you referring to?or have I missed certain ingredients out if so let me know. I remember when I was still in the Middle East one of the food choices has a lot of curry cuisines. So, I definitely LOVE this food! It maybe is quite spicy but definitely worth it. Thank you for sharing this. Cheers! Just made this today and skipped coconut milk (yeah needed to be a bit concious of how much fat I ate tonight, plus I was hungry and scraping coconut was going to make me hungry-er.) Added banana peppers to the onions too. This was SO GOOD.